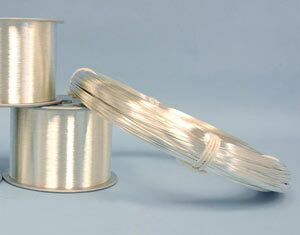 Little Falls Alloys, Inc. is committed to offer top quality Plated Wire. There are a lot of different types or wires you can get. One of the distinctions you need to decide between when buying wire is how you want/need it to be plated. Not all metals function the same, meaning that some are more conductive, long lasting, and rust proof, where as other are not. How do you decide what is the right wire for you? First you need to fully deconstruct the job you are doing. That means you need to know about potential energy needs, energy flow, and capacity of your job. This is the information needed in order to pick the correct plated wire for you. Supplying the best possible Beryllium Copper Wire just happens to be one of our specialties. We have been using beryllium copper longer than most other wire companies. While they were still with gold and nickel we were testing the limits of what other metals could do. We found that Beryllium Copper happens to be one of the strongest alloys available. You would think that strength would compromise conductivity, but you are sadly mistaken. One of our best selling products is this type of wire, and it is so because of how well it’s made and holds up. One of our other prized products is the Phosphor Bronze Wire. Some have likened this product to the ” work horse of the non-ferrous spring industry.” This product has better conductivity than brass, and there is no zinc (zinc leads to de-zincification). This product isn’t as strong as the beryllium copper, but not all jobs need such heavy-duty wire. These phosphor bronze wires are still made strong and built to last, and could end up saving you a good deal of money in the long run. At Little Falls Alloys we make a wide range of plated wires, and we want to make them easily accessible to you. Our website has full specification breakdowns of all our products, but sometimes that can be a bit confusing. That is why we have trained professionals standing by for your call. When it comes to plated wire, there are many different options to consider, but generally three are most common for industrial purposes. These three common connection materials are brass, phosphor bronze, and beryllium copper. Each of the three materials boasts pros and cons, and so it is important to know why and when these different materials are used. Out of the three materials listed above, brass is argued to be the most common for contacts. Brass is the cheapest of the three materials, while still maintaining high conductivity and reliable mechanical performance. Brass is used in the HVAC, lighting, computing, and musical industries. Brass is ideal for calm environments, and so when working in more demanding spaces you will want to consider phosphor bronze (also known as phos-bronze). A brass connection will break when stressed with constant high temperatures. This material is also optimal for working with small connections. Beryllium copper is the highest performing material of all three. It is strong (almost as strong as steel) all while being nonmagnetic and nonsparking. This allows for the material to be used in more applications than both brass and phosphor bronze. Picking the proper connection material is utterly important, so do not make the decision lightly. If you are looking for Plated Wire then look no further than Little Falls Alloys. Little Falls Alloys has been plating drawn wire since 1965. Acquiring the wire or plated wire will ensure that desired function can work flawlessly. Picking the proper metal for your plated wire will ensure the job gets done right and inexpensively. If you require more information on how plated wires can help your business, don’t hesitate to reach out for more information. Treating wires with care will ensure that the cables work properly and last a long time. Why is Copper Still Used?